CarPlay and Android Auto were found on roughly half of new cars sold in Q1. Compared to iOS or even macOS, Apple’s CarPlay in-vehicle standard seems relatively minor in terms of importance. However, according to a new report, in-car systems such as this are rapidly becoming the norm. 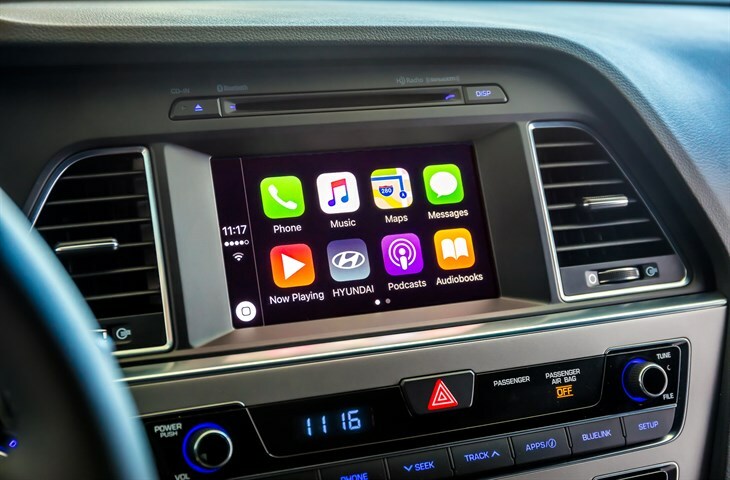 In the first three months of this year, analysts at Canalys suggest that Apple’s CarPlay or Google’s Android Auto were available in 46 percent of new vehicles sold in Europe, and 52 percent of new vehicles sold in the U.S. Most car manufacturers offer users their choice of Android Auto or CarPlay depending on what handset the car owners uses. The exception to this is the BMW Group, which offers CarPlay but not Android Auto, in its BMW and Mini vehicles. In the U.S., an estimated 56 percent of smartphone owners have an Android handset, while 43 percent us iOS. That number is far more lopsided in Europe, where 78 percent of smartphone owners use Android, and 20 percent use iPhones. In addition to CarPlay and Android Auto, both Apple and Google have their own in-house car projects. Google has been working on its self-driving vehicle technology for years. Apple, on the other hand, recently inked a deal with Volkswagen to create self-driving shuttle buses, ostensibly for use by employees.